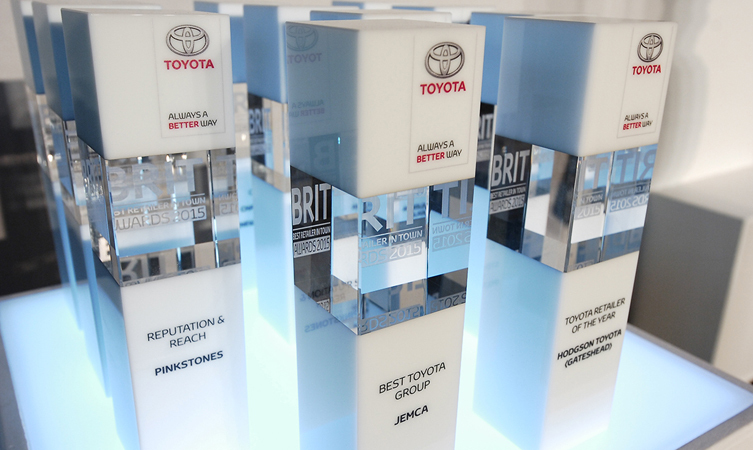 Toyota has rewarded its best-performing centres nationwide in its annual BRIT Awards, recognising excellence in all areas of work across its retail network. BRIT stands for Best Retailer in Town, reflecting Toyota President Akio Toyoda’s aspiration for retailers to focus on the importance of delivering the best service at a local level. Top honour of Retailer of the Year went to Hodgson Toyota of Gateshead, part of the north east-based Hodgson group. The team were presented with their award at a ceremony in London last week, hosted by actor and comedian Hugh Dennis. Hodgson Toyota will mark 13 years at its Swalwell site near the famous Metro Centre this year and it currently has a team of 48 people. Paul Van der Burgh, Toyota GB President and Managing Director, visited the centre to congratulate management and staff and hear more about their winning approach to business. David Lowes, Centre Principal, said: “As a company, we’re hugely focused on the customer experience and we’re always aiming to make that as special as possible for those that come in to our dealership, and this is best achieved when everyone’s working in tandem. The award for best group went to Jemca, which achieved the highest average score across its eight retail sites in Greater London and the Thames Valley. 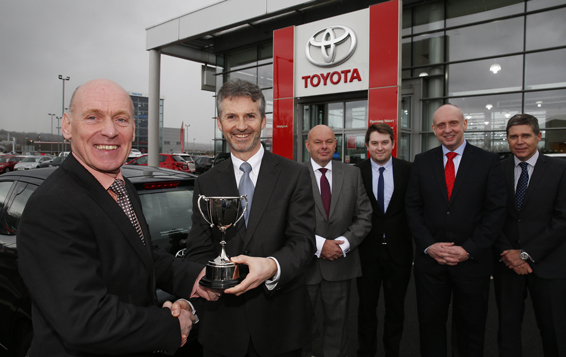 All 180 Toyota retailers in the UK were eligible for the awards, with the results calculated from cumulative monthly report scores on performance across a wide range of business activities, including new and used vehicle sales, customer relationships, business sales, people development and business reputation and reach.